The House of Representatives is having a tough time getting a DACA bill that balances the demands on settling the Deferred Action for Children Arrivals (DACA) issue while getting needed reforms to legal immigration passed. House Judiciary Chairman Bob Goodlatte (R-VA) and Homeland Security Chairman Michael McCaul (R-TX) have a bill that implements reforms to chain migration and the visa lottery, yet these conservative reforms have proven not enough to get the bill passed. If House Republican leaders are looking for an idea that will help them round up votes to pass the Goodlatte-McCaul bill, they should look to add an amendment to improve and expand the EB-5 investor visa program. Immigration reform is a hot button issue because many conservatives worry that giving a pathway to citizenship for DACA kids is a bridge too far. They like the idea of reforming family based chain migration programs to restrict the numbers of extended family members that one visa holder can bring in. Conservatives also believe that the Visa Lottery program is a complete disaster. Both programs are not based on merit. The investor based EB-5 program is different, because these visa holders bring cash to the U.S. for investments that create American jobs. The program should be a no-brainer for all Members of Congress and adding this provision would strengthen the Goodlatte-McCaul approach. 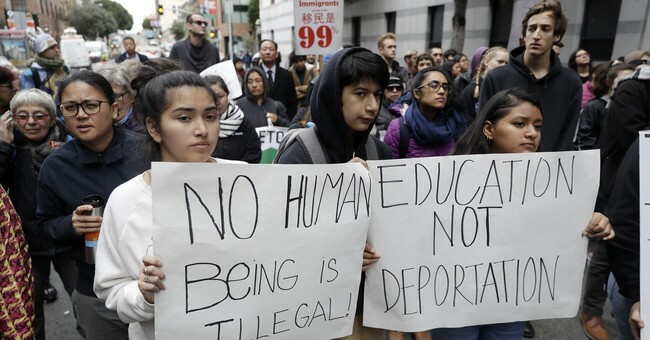 If Congress is going to give status to DACA kids, they need to reform our current immigrations system to shift immigration policy from family and lottery based to merit and value based immigration. There is no better way to import billions in cash to expand private enterprise to hire more American worker than to turbo charge the EB-5 program. There is strong support in Congress for the EB-5, investor visa program. Former House member Rep. Bob Barr of Georgia wrote on February 15, 2018, that “The EB-5 program exemplifies the focused, vetted and merit-based immigration policy which President Donald Trump repeatedly has endorsed; most recently in his State of the Union speech last month.” The program is both consistent with the President’s call for merit based immigration and has the support of conservative Republicans. While other immigration programs drain federal resources and take away American jobs the EB-5 program does the opposite. Since 2007, the EB-5 investor visa program has brought in billions and created well over 100 thousand jobs. According to the American Action Forum, EB-5 immigrants have invested at least $20 billion in the U.S. economy since 2008, with over $5 billion invested in 2017 alone. They also use government data to estimate that this program has created 174,000 jobs that equates to 16 jobs per immigrant visa investor. No other program guarantees that a visa recipient will create tens of jobs while investing up to a million dollars in the U.S. economy. An Op Ed in the conservative Washington Times makes the case that President Trump has an opportunity to support EB-5s because “here is a chance to make the case he is pro-America and not anti-immigrant, pro-business and not anti-economic growth and pro-investment and ideas and eager to bring in people who can help make America great again.” A writer for the libertarian Reason opines “if immigration reform is going to reduce family-based visa programs because they're not sufficiently merit-based, then it should similarly expand those that clearly are.” This idea to expand the EB-5 program seems to have the support of former conservative members and opinion leaders in the libertarian-conservative movement. House Majority Leader Kevin McCarthy (R-CA), Whip Steve Scalise (R-LA), and the Chief Deputy Whip Patrick McHenry (R-NC) will be key, because they are responsible for building consensus for the conservative agenda in the House. If the leaders add an expansion and extension of the EB-5 program to the underlying bill, they may get enough votes to pass it. Texans Reps. Pete Sessions and Lamar Smith are keys because they will be gatekeepers on what can get in the bill. Michigan Reps. Bill Huizenga and Dave Tropp both recognize the benefits to the Midwest, of an immigration program that imports cash and jobs. Support could come from a member like Rep. Mark Amodei (R-NV) who has joined as a cosponsor of H.R. 4530, a bill to reforms and promote the EB-5 program. While Reps. Goodlatte and McCaul are looking for ideas to strengthen their bill to both give status to DACA children and reform existing programs, they need to embrace the one idea that shifts family and luck based visas to a merit based program that brings in billions and creates massive numbers of jobs - the EB-5 investor visa program. Adding that provision might help get the Goodlatte-McCaul bill passed.